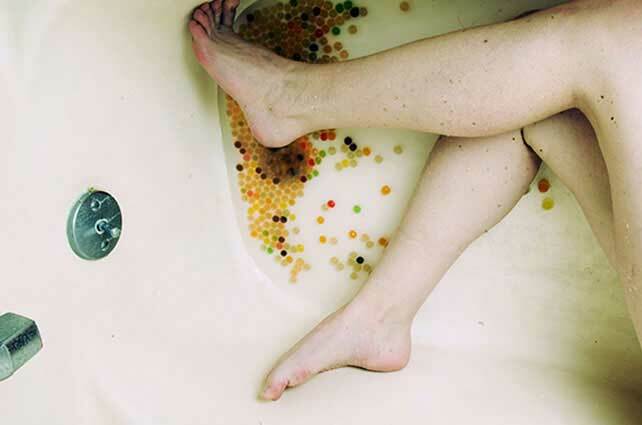 Sarah Knobel is a photographer working in Washington DC. Her work blends a distressing Middle American adolescent ordinariness with settings and situations of glamor, fashion and fantasy. It’s a mash up that is equally funny and sad. Knobel’s most frequent subject is the self-portrait. And, even though she may appear dressed up, covered in glitter or otherwise ‘in character’, it is very possibly the inclusion of herself in the work that keeps the work from taking a cynical or satirical view of its principle elements.